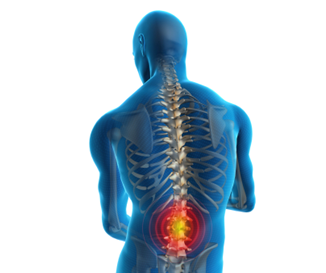 Login to the back pain rehab videos and bonuses. I have not yet finished reading the book but what I have read so far has helped. When I downloaded your book, I was at the stage of looking for a Chiro or physiotherapist. After reading the book, I went to neither, we sorted it out ourselves. Just a quick msg to say that this months newsletter is great! Practical ideas for combining exercise with everyday life. I wanted to let you know that the information I downloaded really was exceptional! I had an accident just before Christmas and pulled my back out badly. I went to see a chiropractor twice and both times my discomfort increased. I will book in to see an SLM therapist on the Sunshine Coast and will be recommending your book worldwide!! So thank you Steve for sharing your information. Everything, you mentioned is fantastic. There are multiple reasons and explanations sufferers are given for their back pain and sciatica. Many of these are misleading and don’t offer a solution. More often than not, they leave a sufferer feeling confused and more frustrated than ever … and still in pain! The main reason this situation exists is because mainstream therapies don’t look back far enough into the body to discover what actually caused the persons pain to come in the first place – the true, real and underlying cause. Advice given that a bulging disc, strained ligament or muscle spasm is the cause of someones pain doesn’t explain what it was that actually caused the ligament to be strained, the disc to bulge or the muscle to go into spasm in the first place. There is always an underlying cause that leads a body into pain and this is what first needs to be dealt with before proper healing can take place. A doctor or therapist needs to be very ‘hands on’ to be able to pick up these underlying problems. When a sufferer seeks treatment for their back pain, sciatica, bulging disc or even lower back strain, they are looking for a long term fix, not just a band aid solution which alleviates their symptoms in the short term but only lasts a day, a week or a month. I am sure it will leave you with a much clearer head about why you have your pain and what you now need to do to get rid of it. Study Reveals that Intense Pain At Onset is Highly Predictive of Future Pain. Is Surgery an Option For Your Back Pain & Sciatica? Back Surgery in 2006 Then Again in 2007 and Still Playing First Grade Rugby League Injury Free in 2014 – How is This Possible ? 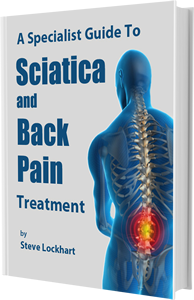 Download a FREE copy of the latest version of my book, A Specialists Guide to Sciatica and Back Pain Treatment. I have scoliosis and am a 60 yo female. Ihave had over 10 surgeries on my back resulting in fusion T to SI. The thoracic area was fused from bone grafts in my hip and the lumbar area fused with rods. I have had and am still battling pain from the lumbar area down to the S.I. joint. I have now found a wonderful pain management doctor. We had very succesful results with the first round of injections. I felt wonderful. I was being weened off my pain meds. My lower back started hurting again and had a right side injection. Unfortunately I did not have the same success. He had also prescribed PT for the second time. I feel that my PT is not as succesful due to just how my back is. Obviously I have dealt with the lumbar and sacroiliac for over 20 years. I came across Qigong. I wondered what the heck this was and I watched several videos. I would like to know if any of the excersises will help me. Please keep in mind that I have very limited motion due to the fusions. I can’t sit on the floor like most people. But I saw how fluid this type of exercise should I do? The problem with the fusions and rods etc is they lock you into the crooked position you come to them in. This means people like me can’t straighten your body and take you out of pain. When looking for ways to manage your condition you need to look for things that will keep you strong and supple. A good diet will help a lot as well as exercising in the water. Chi gong should help also so give it a try is what I’d say. Hi Steve, I stumbled across your back pain and sciatica pages when I was desperately seeking relief for my back pain and sciatica problems. I am 29 and had a baby 3 months ago. About 6 weeks post birth I woke up with left sided lower back pain. I saw my physio and she suspected i had Piriformis syndrome. When no improvement was seen and i developed sciatica she referred me to an Osteo. In my 3 weeks of therapy, she worked on my piriformis and realigned my pelvis. When no improvement Was seen and immense pain continued, I had a CT scan which showed L5/S1 disc protrusion and S1 nerve compression. Grateful to know what the issue was, i was told to rest (very hard with a baby) for 2 weeks now I have tried very hard to rest. Laying down a lot and then going for short walks around. The osteo taped my back to inhibit me from bending too. I bought your SLM self treatment plan and have done the yoga 3 times now. I find all the moves easy to do and I’m not in any pain during the yoga. I have also tried to get instant relief with the balls along the erector spinal muscles. I have found this technique useful but The sciatica returns a couple of hours later. I am getting so frustrated with the pain and lack of mobility I am experiencing. It’s taking its toll on my husband too who has to do a lot for me and I feel very useless and debilitated. I am a healthy and fit person and am so motivated to get better but i want to know how long will I have to live with this pain? Being a breast feeding mother i only take panadol for relief which means i am taking 8 a day. How long does the yoga normally take to show results? Can you recommend anything else to improve my circumstances that I am not already doing? Thanks for your help, I have read both of your books thoroughly looking for guidance and am really glad I found your assistance on the net. Hi Erin, Best you post these questions in my back pain forum at http://www.backpain.com.au/forum but the short answer is your legs are probably playing a big part in your pain so get some regular deep tissue massage done to your legs for a while, preferably with an SLM therapist. personally recommend to my friends. I am confident they will be benefited from this website. Glad you shared this. Sciatica is an issue that so many people face. Copyright © 2015 Allin Web Solutions. All rights reserved.